Blepharoplasty, also known as eyelid rejuvenation or eyelid lift, is an elective cosmetic surgery procedure that removes excess fat, skin and muscle from the upper and lower eyelids to rejuvenate puffy, sagging or tired-looking eyes. Healthy adult men and women who have drooping of the upper lids and/or bulging or depression beneath the lower lids can be excellent candidates for this elective procedure. For patients whose vision is negatively affected by drooping of the upper lids, Dr. Wolf will recommend a special eye test. If you fail that eye test, it’s possible that your health insurance may cover the costs of your eyelid lift. Patients with thyroid problems, dry eye, high blood pressure, diabetes, detached retina, glaucoma or other health problems should consult with an ophthalmologist about eligibility for a blepharoplasty. While blepharoplasty does not raise the brows or eliminate wrinkling in the skin around the eyes, those areas can be treated with BOTOX®, Restylane® or Juvéderm® injections to improve their appearance. Blepharoplasty can be performed alone or in conjunction with a facelift at our Dayton cosmetic practice, or any other procedure of your choice. 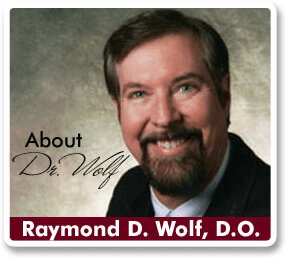 Under local anesthesia, Dayton cosmetic surgeon Dr. Wolf uses a CO2 laser to perform both upper and lower blepharoplasties. This is unique to our cosmetic surgery practice, as no other practice in our area does the procedure in this manner. Precision, lack of bleeding during the procedure and decreased bruising after the procedure are three of the benefits. Recovery from eyelid surgery in Dayton is usually very easy. Pain is minimal and easily treated with ice packs. Some patients find that sitting up in a recliner to sleep the first couple of nights keeps swelling to a minimum. If you wear contact lenses, you’ll avoid that for the first two weeks, during which time your eyes may be sensitive to light and wind, and overly sensitive to your lenses. Some patients have eyelid swelling or double or blurred vision for a few days, but this is rare.